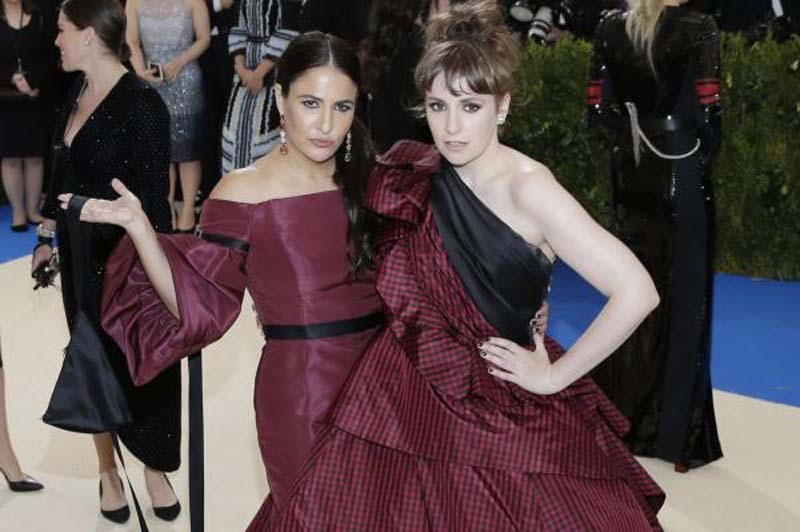 Longtime collaborators Lena Dunham and Jenni Konner are ending their producing partnership. Dunham and Konner, who co-executive produced the HBO series Girls, explained in a joint statement to Variety their interests are pulling them in "different directions." [post_ads]"We have had one of the most significant relationships together in our adult lives and we respect each other's choices," the pair said. Dunham and Konner will executive produce the new HBO series Camping and other projects as planned, but are dissolving their professional partnership prior to the expiration of their joint deal with the network. "While our interests are pulling us in different directions right now, we are excited about our current work and are firmly committed to the projects we have together," the pair said. "HBO has been our home for quite some time and we look forward to continuing there as we both move forward." HBO's contract with Dunham and Konner's company, A Casual Romance, will expire in December. Sources told The Hollywood Reporter Dunham and Konner are in talks for individual deals with the network. Camping, starring Jennifer Garner, will mark Dunham and Konner's first TV series since Girls ended its six-season run in April 2017. Dunham and Konner are also working on multiple other projects together, including a feature film.